While some new tech ideas at the annual Consumer Electronics Show catch on — think fitness trackers and wireless ear buds — many of them go nowhere. But the pitches are always interesting and often say something about where we’re headed in our relationships with technology. You can now ask Alexa to flush. 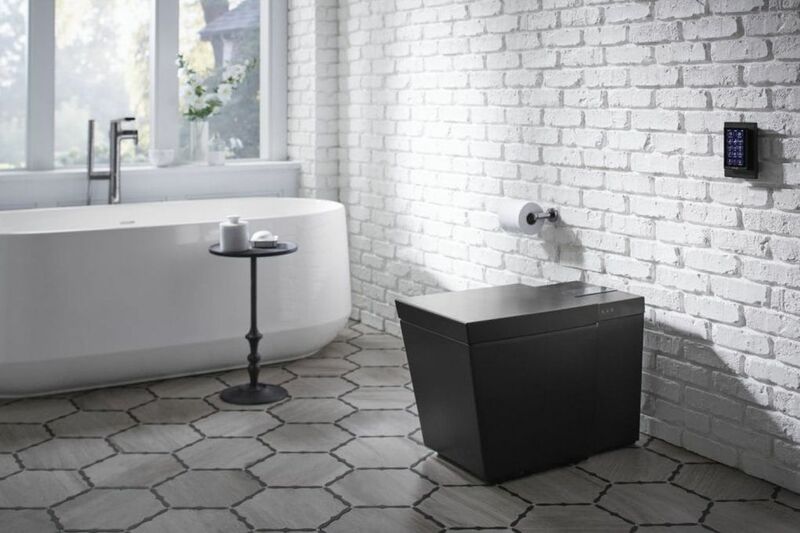 Kohler’s latest high-end toilet connects to the internet and responds to voice commands. Beyond flushing, you can ask Amazon’s Alexa (as well as Google Assistant and Apple’s Siri) to lift the seat or activate your favorite bidet spray configuration. (Amazon chief executive Jeff Bezos also owns The Washington Post.) There’s no microphone on the toilet itself, but there are speakers to play your favorite tunes. Plus, it keeps track of water usage. $5,625 and up, available in the fourth quarter of the year. This bot just wants to cuddle. 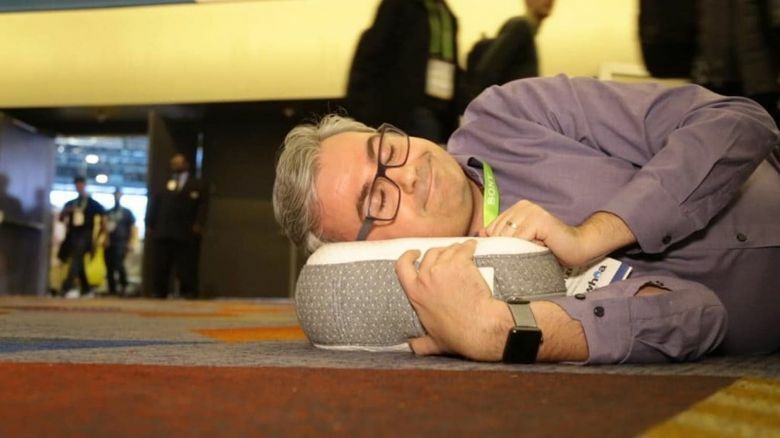 Somnox is a bed companion that simulates human breathing. When you hug the robot, the rising and falling sensation subconsciously calms you down and helps you get to sleep faster, say its makers. Somnox can also make the soothing sounds of heartbeats, lullabies and guided meditation, which you activate from an app. Best part: It doesn’t ever snore. $600, shipping in September. Pack on a few pounds during this cold snap? Modius has built a headset that stimulates your vestibular nerve, which runs behind your ear and into your brain. 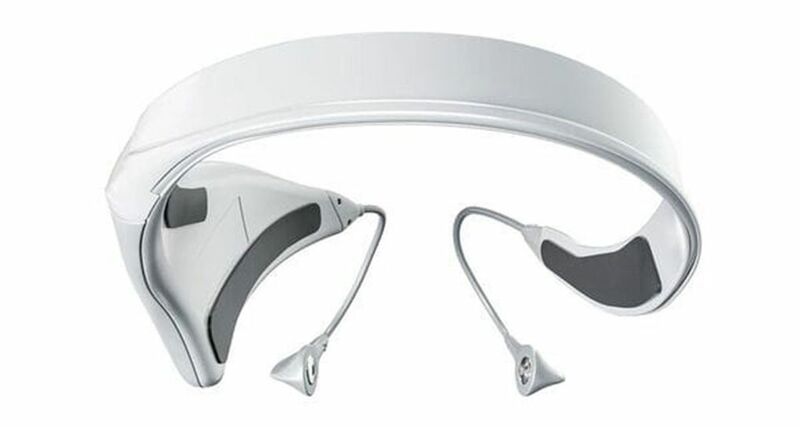 You use Modius by attaching a pad to your skin, which has a wire that runs up to the headband. The electric current, Modius says, stimulates the part of the brain that controls your appetite. It’s meant to be an extra boost to supplement your weight-loss plan. Brain-zapping technology is still somewhat unproven, but several companies claim it can help everything from concentration to pain relief. $500, expected in February. These competing robots tackle one of the week’s most arduous chores. 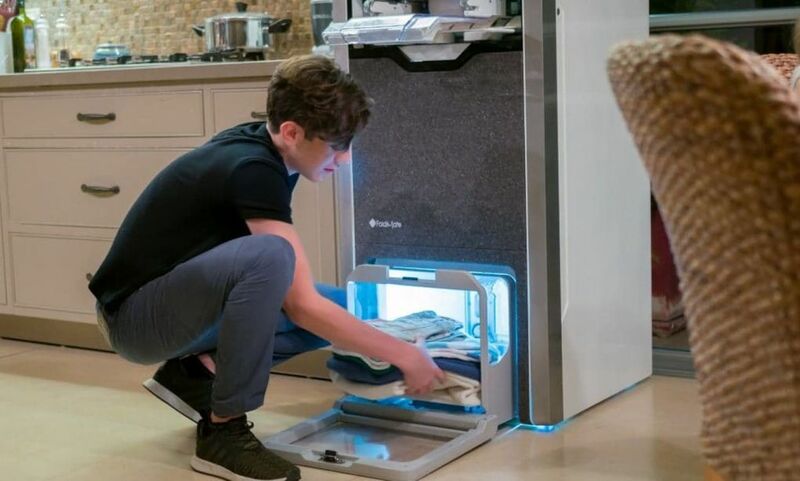 Foldimate’s promises to fold a load of laundry in 4 minutes, but asks you to feed each piece in, individually. The much pricier Laundroid folds from a drawer of clothes, but takes much longer. Sadly, neither can tackle socks or sheets yet. Those still must be done by hand. $16,000 for Laundroid. $980 for Foldimate. Okay, this one is just wildly practical. Remember when the MacBook Pro was useful for actual professionals? That was before Apple took away useful inputs and replaced them with USB Type-C ports requiring adapters and dongles. Plug a Nucleum hub into a MacBook and those useful ports return. You get back two traditional large USB ports, HDMI for an external monitor, an SD card slot, a microSD card slot — and still two USB Type-C ports. It even has pass-through power, so you can charge your phone or laptop.$80, shipping now from Kingtson.com. More gadgets? That means more charging cables. 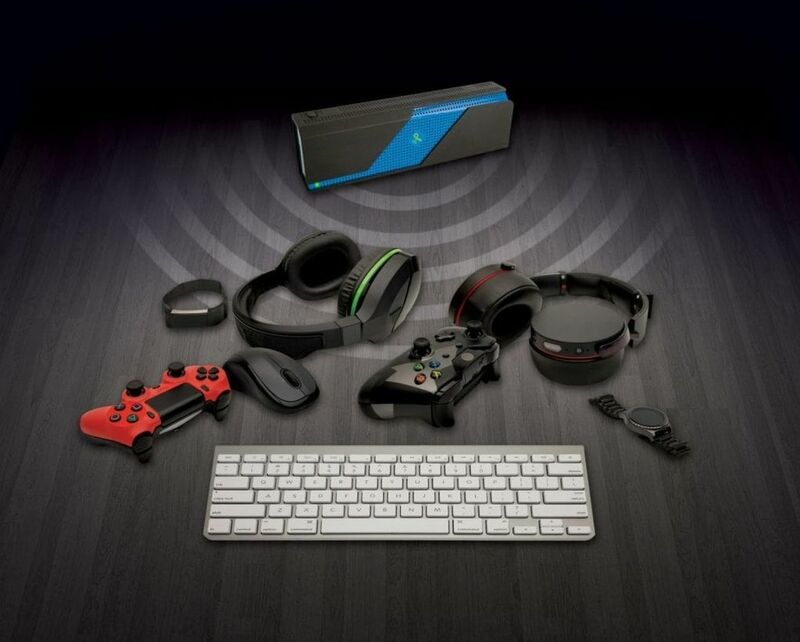 But Powercast’s PowerSpot hub promises to charge devices such as watches, headphones and keyboards within an 80-foot radius without any charging accessories. It does that by using technology that promises to be like WiFi, but for electricity. With recent approval from the Federal Communications Commission, it’s closer than ever to hitting the market. $100, expected in the third quarter of this year. Running a laundry load uses a lot of water — while also subjecting your clothes to some serious roughhousing. Xeros fills washing machines with nylon balls about the size of green peas that help massage away dirt and absorb loose dye using half as much water. It also jostles your clothes less, leading to energy savings and clothes that last longer. The tech is already used in some commercial washers and is trying to work its way into home models. Price hasn’t been set yet; could arrive in the consumer home market within two years. INVI’s stylish bracelet is actually a deterrent against sexual assault. Like a skunk, INVI’s bracelet releases a foul odor to repel attackers, in this case when you break its clasp. It’s not clear how much of a deterrent a bad smell would be, but we commend the idea to develop tech to help discourage attackers. About $70 shipping now. Isolation is a significant problem for some older adults. ElliQ is a tabletop robot with a swiveling head that connects seniors to friends for messages and video chats and makes it a bit easier for them to take advantage of online information and services. It suggests physical activities, such as taking medicine or going for a walk, and also makes personalized recommendations for news, music or games. Headed to beta trials before a launch this year. Virtual reality is all about immersion, but in real life most people don’t move anywhere by using the thumbstick that most VR systems employ. 3DRudder is a foot pad that rocks and turns to simulate footsteps while seated. We first saw 3DRudder at CES in 2015; its software has come far since then, and it has added straps to keep you from losing your footing. $139, shipping now. 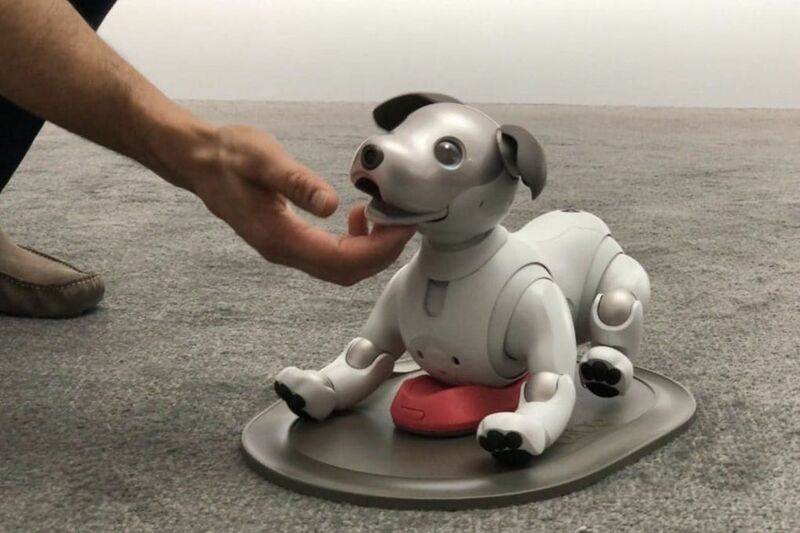 Sony’s iconic Aibo dog, discontinued in 2006, has been reborn and is cuter and smarter than ever. Originally announced last fall, the new pup stole the show at Sony’s CES news conference, where he was shown to a U.S. audience for the first time. Aibo has a camera in its nose, a microphone to pick up voice commands and 22 adorably articulated parts. The bad news: Sony is only selling it in Japan, for now. $1,800, ships Jan. 11.